Rhubarb acts as a stimulant laxative, but has not been shown to treat or prevent cancer. Rhubarb is a perennial herb, the stalks of which are consumed as food. The rhizome and roots are used as laxatives and to treat ulcers, constipation, diarrhea, hypertension, immunosuppression, and cancer in Traditional Chinese medicine. Compounds in rhubarb called anthraquinones cause tumor death in mice implanted with some solid tumors, and reduce pain and inflammation in laboratory animals. Clinical studies showed that rhubarb helps improve feeding tolerance and relieving gastrointestinal dysfunction in critically ill patients; in preventing the incidence of post endoscopic retrograde cholangiopancreatography pancreatitis (PEP) and hyperamylasemia in high-risk patients; for treating recurrent aphthous stomatitis (RAS); and may benefit patients with acute organophosphorus pesticide poisoning (AOPP). Rhubarb is considered to be a stimulant laxative. It is also a component of Essiac tea. Patients and physicians should be aware of the potential for additive effects. One study suggested that a rhubarb extract may reduce side effects associated with radiation therapy in lung cancer patients. Rhubarb acts as a laxative, although clinical trials have not tested this use. Laboratory data shows that rhubarb decreases the activity of isolated immune cells. Some studies suggest that rhubarb has anti-inflammatory effects. There is not scientific evidence to support this claim. Rhubarb was shown to be useful for treating oral ulcers. More studies are needed. You are taking Digoxin: Potassium loss due to the laxative effect of rhubarb can increase hypokalemia. You are taking Cytochrome P450 substrate drugs: Rhubarb may reduce the effectiveness of these drugs. But clinical significance has yet to be determined. You are taking Melatonin: A study using human primary hepatocytes showed that concomitant use can cause metabolic disorder of melatonin. You are taking Cyclosporine: Rhubarb decreased the bioavailablity of cyclosporine in mice. Clinical relevance is not known. You are taking Methotrexate: Rhubarb was shown to increase exposure to methotrexate in mice. Clinical relevance is not clear. A case of acute crystal-induced kidney failure has been reported in a type-1 diabetic patient (with normal excretory renal function) following excessive ingestion of rhubarb. Rhubarb, a perennial herb, is cultivated in many parts of the world. The stalks are consumed as food, and the rhizome and root are widely used in Traditional Chinese medicine for a variety of conditions including cancer, immunosuppression, constipation, diarrhea, gastrointestinal ulcers, and hypertension (1) (3). The anthraquinones and tannins in rhubarb are thought responsible for its laxative and constipating effects, respectively (4). Rhubarb demonstrated anticancer (20), antimetastatic (21), radioprotective (22), and estrogen receptor modulating (13) effects in preclinical studies. Limited clinical findings indicate that it may be effective in improving feeding tolerance and relieving gastrointestinal dysfunction in critically ill patients (23); in preventing the incidence of post endoscopic retrograde cholangiopancreatography pancreatitis (PEP) and hyperamylasemia in high-risk patients (24); for treating recurrent aphthous stomatitis (RAS) (25); and may benefit patients with acute organophosphorus pesticide poisoning (AOPP) (26). A rhubarb extract was shown to reduce radiation-induced lung toxicity and increased pulmonary function in lung cancer patients (7). Aloe-emodin, one of the constituents, demonstrated anticancer (5) (6) (27) and anti-leishmanial (30) effects. It was also shown to enhance the effects of sorefenib (28) and cisplatin (29). When used in small doses, the tannin content in rhubarb has a constipating effect. At higher doses, however, the hydrolyzed metabolites of emodin and sennidin stimulate the gastrointestinal tract and produce a laxative effect (4). The actions of anthraquinones on rheinanthrone, which is transformed from sennoside A, may promote the purgative effects of sennoside A (16). The anti-inflammatory activity of emodin may mediate rhubarb’s hepatoprotective effects in rats with cholestatic hepatitis (11). Lindeyin, a phenolic gallylglucoside, exhibits analgesic and anti-inflammatory properties in animal models. Catechin, epicatechin, procyanidins, and gallylglucose were also shown to inhibit hyaluronidase (10) (12). Additional studies show that aloe-emodin exerts anti-proliferative activity, inducing cell cycle arrest in cancer cell lines (6). Anthraquinone extracts of rhubarb were shown to induce cytotoxicity in cancer cell lines (5) and tumor (sarcoma 37, mammary, and Ehrlich) necrosis in mice (1), although this has not been demonstrated in humans. Another study showed that emodin inhibits human cancer cell invasiveness by specifically antagonizing the adenosine 5’-triphosphate (ATP)-gated Ca(2+)-permeable channel P2X7 receptor (P2X7R) (17). A case of acute crystal-induced renal failure has been reported in a type-1 diabetic patient (with normal excretory renal function) following excessive ingestion of rhubarb (18). Cytochrome P450 substrates: Rhubarb induces CYP3A and CYP2D6 and can affect the intracellular concentration of drugs metabolized by these enzymes (15) (19). Clinical relevance is not known. Melatonin: A study using human primary hepatocytes showed that concomitant use can cause metabolic disorder of melatonin (31). Cyclosporine: Rhubarb decreased the bioavailablity of cyclosporine in a murine model. Clinical relevance is not known (32). Methotrexate: Rhubarb was shown to increase exposure to methotrexate in a murine model. Clinical relevance is not clear (33). Mantani N, et al. Rhubarb use in patients treated with Kampo medicine—a risk for gastric cancer? Yakugaku Zasshi 2002;122:403-5. Zhang ZJ, Cheng WW, Yang YM. 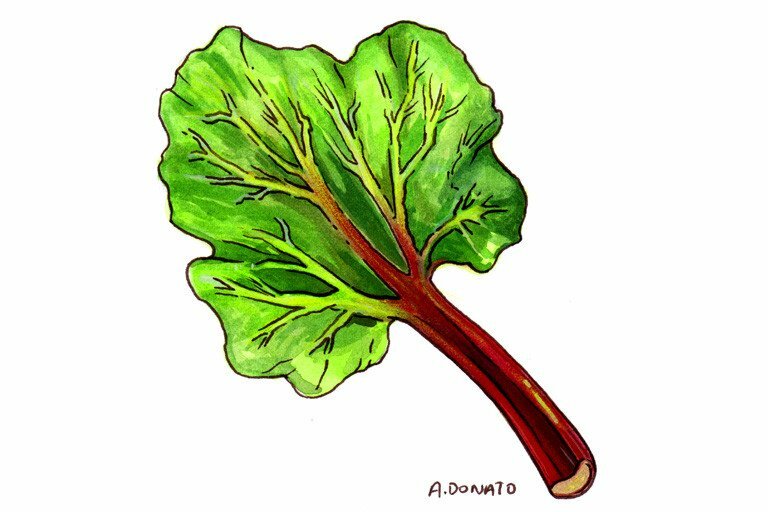 Study on low-dose of processed rhubarb in preventing pregnancy induced hypertension. Chung-Hua Fu Chan Ko Tsa Chih [Chinese Journal of Obstetrics & Gynecology] 1994;29:463-4, 509. Peigen X, Liyi H, Liwei W. Ethnopharmacologic study of chinese rhubarb. J Ethnopharmacol 1984;10:275-93. Cui XR, Tsukada M, Suzuki N, et al. Comparison of the cytotoxic activities of naturally occurring hydroxyanthraquinones and hydroxynaphthoquinones. Eur J Med Chem. Jun 2008;43(6):1206-1215. Guo JM, Xiao BX, Liu Q, Zhang S, Liu DH, Gong ZH. Anticancer effect of aloe-emodin on cervical cancer cells involves G2/M arrest and induction of differentiation.Acta Pharmacol Sin. Dec 2007;28(12):1991-1995. Yu HM, Liu YF, Cheng YF, Hu LK, Hou M. Effects of rhubarb extract on radiation induced lung toxicity via decreasing transforming growth factor-beta-1 and interleukin-6 in lung cancer patients treated with radiotherapy. Lung Cancer. Feb 2008;59(2):219-226. Newall CA, et al. Herbal Medicines: A Guide for Health-Care Professionals. London: Pharmaceutical Press; 1996. Brinker F. Herb Contraindications and Drug Interactions, 3rd ed. Sandy (OR): Eclectic Medical Publishing; 2001. Tamayo C, et al. The chemistry and biological activity of herbs use in Flor-essence herbal tonic and Essiac. Phytother Res 2000;14:1-14. Ding Y, Zhao L, Mei H, et al. Exploration of Emodin to treat alpha-naphthylisothiocyanate-induced cholestatic hepatitis via anti-inflammatory pathway. Eur J Pharmacol. Aug 20 2008;590(1-3):377-386. Blumenthal M, Goldberg A, Brinckmann J. Herbal Medicine, Expanded Commission E Monographs. Austin: American Botanical Council; 2000. Kang SC, Lee CM, Choung ES, et al. Anti-proliferative effects of estrogen receptor-modulating compounds isolated from Rheum palmatum. Arch Pharm Res. 2008 Jun;31(6):722-6. Li WY, Chan SW, Guo DJ, et al. Water extract of Rheum officinale Baill. induces apoptosis in human lung adenocarcinoma A549 and human breast cancer MCF-7 cell lines. J Ethnopharmacol. 2009 Jul 15;124(2):251-6. Takayama K, Tsutsumi H, Ishizu T, Okamura N. The influence of rhein 8-O-β-D-glucopyranoside on the purgative action of sennoside A from rhubarb in mice.Biol Pharm Bull. 2012;35(12):2204-8. Jelassi B, Anchelin M, Chamouton J, et al. Anthraquinone emodin inhibits human cancer cell invasiveness by antagonizing P2X7 receptors.Carcinogenesis. 2013 Jul;34(7):1487-96. El-Saied MA, Sobeh M, Abdo W, et al. Rheum palmatum root extract inhibits hepatocellular carcinoma in rats treated with diethylnitrosamine. J Pharm Pharmacol. 2018 Jun;70(6):821-829. Chen YY, Hsieh MJ, Hsieh YS, et al. Antimetastatic effects of Rheum palmatum L. extract on oral cancer cells. Environ Toxicol. 2017 Oct;32(10):2287-2294. Lu K, Zhang C, Wu W, Zhou M, Tang Y, Peng Y. Rhubarb extract has a protective role against radiation-induced brain injury and neuronal cell apoptosis. Mol Med Rep. 2015 Aug;12(2):2689-94. Zhang X, Wang L, Chen DC. Effect of Rhubarb on Gastrointestinal Dysfunction in Critically Ill Patients: A Retrospective Study Based on Propensity Score Matching. Chin Med J (Engl). 2018 May 20;131(10):1142-1150. Wang C, Li Q, Ye P, et al. Value of Raw Rhubarb Solution in the Precaution of Post-endoscopic Retrograde Cholangiopancreatography Pancreatitis in Patients with High-Risk Factors: A Predictive Random Compared Research in One Center. Dig Dis Sci. 2017 Apr;62(4):1043-1050. Rodríguez-Archilla A, Raissouni T. Randomized clinical trial of the effectiveness of complementary therapies for recurrent aphthous stomatitis. Med Clin (Barc). 2017 Jul 21;149(2):55-60. Wang L, Pan S. Adjuvant treatment with crude rhubarb for patients with acute organophosphorus pesticide poisoning: A meta-analysis of randomized controlled trials. Complement Ther Med. 2015 Dec;23(6):794-801. Chen Y, Li J, Hu J, et al. Emodin enhances ATRA-induced differentiation and induces apoptosis in acute myeloid leukemia cells. Int J Oncol. 2014 Nov;45(5):2076-84. Kim YS, Lee YM, Oh TI, et al. Emodin Sensitizes Hepatocellular Carcinoma Cells to the Anti-Cancer Effect of Sorafenib through Suppression of Cholesterol Metabolism. Int J Mol Sci. 2018 Oct 12;19(10). Li X, Wang H, Wang J, et al. Emodin enhances cisplatin-induced cytotoxicity in human bladder cancer cells through ROS elevation and MRP1 downregulation. BMC Cancer. 2016 Aug 2;16:578. Dalimi A, Delavari M, Ghaffarifar F, Sadraei J. In vitro and in vivo antileishmanial effects of aloe-emodin on Leishmania major. J Tradit Complement Med. 2015 Jan 31;5(2):96-9. Jiang W, Tian X, Wang Y, et al. The natural anthraquinones from Rheum palmatum induced the metabolic disorder of melatonin by inhibiting human CYP and SULT enzymes. Toxicol Lett. 2016 Nov 16;262:27-38. Yu CP, Lin HJ, Lin SP, et al. Rhubarb decreased the systemic exposure of cyclosporine, a probe substrate of P-glycoprotein and CYP 3A. Xenobiotica. 2016 Aug;46(8):677-82. Shia CS, Juang SH, Tsai SY, Lee Chao PD, Hou YC. Interaction of rhubarb and methotrexate in rats: in vivo and ex vivo approaches. Am J Chin Med. 2013;41(6):1427-38.